Medical Developments UK (MDUK) is a subsidiary of Medical Developments International (MDI), a global manufacturer of unique and innovative healthcare products. MDUK is focused on high quality products that improve respiratory care. These include space chambers for the delivery of asthma and COPD medication, portable low-power consumption nebulisers and finger type pulse oximeters measuring SpO2. 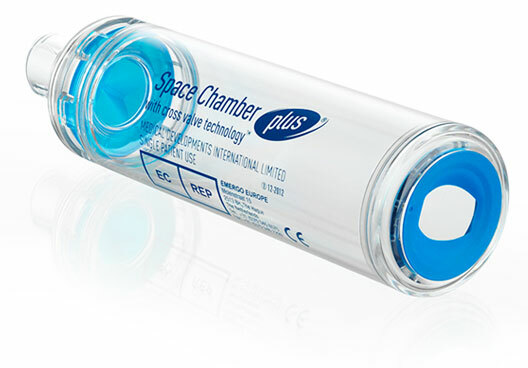 Designed to deliver more medication to the lungs than pMDI alone, enabling patients with asthma and COPD to take control, the Space Chamber Plus® is the largest spacer available from Medical Developments. As the smaller of the two spacers, the Compact Space Chamber Plus® is easier to carry in handbags, school bags and briefcases. It is also more convenient for storage and handling. Ideal for hospitals, the Autoclavable Space Chamber Plus® , is also dishwasher safe, but can be autoclaved 50 times and comes with a 1 year Warranty. I love these spacers because they are compact and user friendly. They can go in the dishwasher and they are easy to take apart and put back together again. I prescribe them regularly to my respiratory patients, and I am looking forward to the anti-static version becoming available, as this will aid in drug deposition because it does not rely on the person priming the spacer to minimise the static. I also like the fact that the MDI fits inside the compact spacer, so it reduces storage space. They are a big hit with my patients. Two of my three young children suffer with asthma and this has been a stressful experience. However, I am delighted to report that the Anti-Static Space Chamber Plus has worked really well. 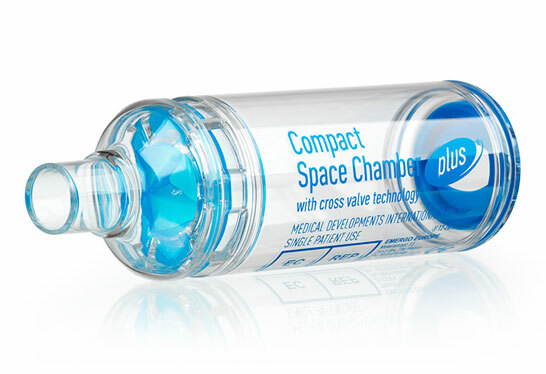 Watching the vents in the Space Chamber Plus valve as my children breathe in the medicine is a very good way of confirming that the medicine is being administered correctly, and I would highly recommend these spacers. 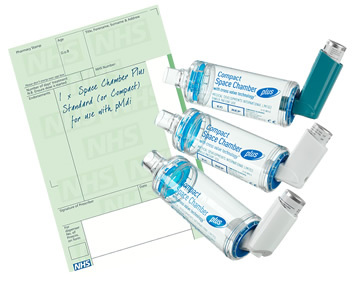 We routinely supply the Space Chamber Plus for our asthma and COPD patients for three reasons. 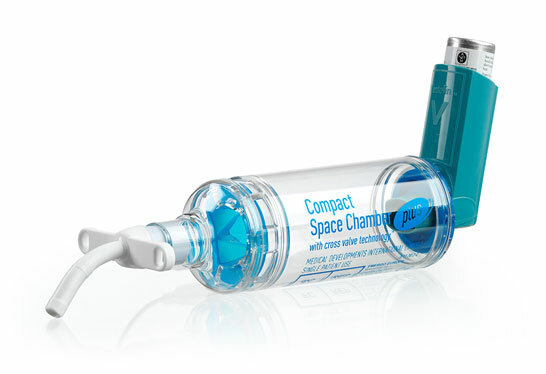 Firstly, they have a flexible connector in the base which is compatible with a wide range of inhalers; secondly, inhalers conveniently fit inside the spacer and thirdly, the Space Chamber Plus is cost-effective. "There is enormous room for improvement in inhalation technique and the Space Chamber Plus can help with this objective because the low resistance valve helps users to see that the spacer is being used correctly. Most puffers fit inside this spacer so it is more likely to be carried and used, and being dishwasher safe it can be maintained in good condition for longer."